The Ayrshire Community Trust have created a flagship Demonstration Community Food Garden in the grounds of Eglinton Country Park which complements other projects and the on-going Castle developments. 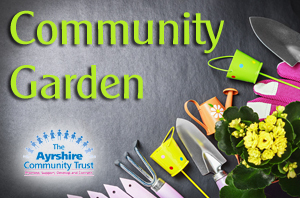 The Garden complements and adds additional opportunities for other voluntary groups such as the Eglinton Growers, Breaking Ground, Enable and the Castle Developments and provides a range of activities for community use. It provides all members of the community with learning opportunities related to gardening, growing food and cooking and provides the community and volunteers with the opportunity to learn new skills, tools and coping mechanisms and promote positive changes in health, diet and lifestyle and fitness.